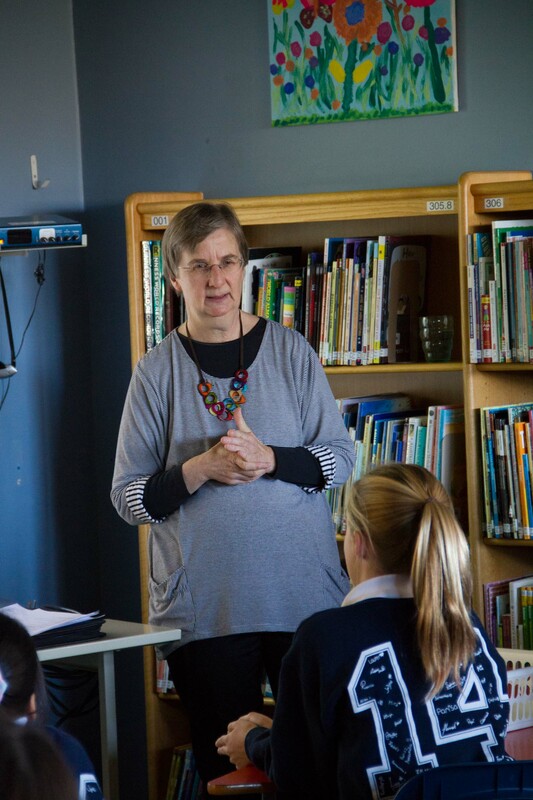 AUTHOR Sarah Ellis Visits York House! Earlier this year Sarah received the Lieutenant-Governor’s Award for a body of exemplary work. She was invited to have dinner at Government House in Victoria and be presented with her award. Awesome work, Sarah! Thanks for sharing the experience of writing with our students. This term our Grade 1 girls studied the First Nations throughout the seasons with inspiration from books by Julie Flett. Her newest book, “Wild Berries“, gave us the recipe for blueberry jam which we made! Reading “Owls See Clearly at Night” (2010 Finalist, Governor General’s Children’s Literature Award), taught us some words in the Michif language. “The Moccasins” and “Little You” were stories about growing up with traditions of First Nations or any family. Zoe and the Fawn connected us to animals and nature. For an awesome finish to our study Julie Flett came to meet us! We did an art lesson with Julie which inspired our own stories of family. Thanks Julie for sharing our excellent books and art with us! Click here to see photos of the Grade 1s art lesson with Julie.